Here is where you will find the links that are so typical of web pages and are the core to the magic of the Internet. In the process of putting these pages up in the Web, I found that most of the search engines requested that I link back to them, so I'm doing that for those that can use this. Other links are more relevant to what these pages, in particular, are all about - Art, friends, and interesting sites. AGE Fine Arts - 20th Century Russian ART of the SOVIET AGE: Hidden Treasures. We specialize in Russian Oil Paintings of 1920-1990 from the Leningrad School. Art & Antique Review of Spain - An international art site with some great works by comtemporary artists from all around the planet. Art Designs Studio - For those that love woodcarving this is the premier site. Lots of information, patterns, and great links. Artists Exchange - Your Mining Company Guide to the Artist's Exchange. A fine site loaded with a lot of links to a lot of catagories of interest to artists and those that appreciate art. ArtFest - Another fine place to browse for art. Art Gallery Worldwide - A lot of artworks in different styles and media. Website offers a wide variety of features and services that enable customers to buy and sell their art. ar-t-facts - Ar-t-facts is designed to attract people of various interests. Within ar-t-facts you will find an auction, image hosting, a fine art gallery, a bazaar, and a myriad of other kewl things. Artists of the San Lorenzo Valley - For those interested in what kind of art comes out of the San Lorenzo Valley in Santa Cruz County, this is a great place to look. Art Link Index - A comprehensive discount online art gallery containing an enormous collection of diverse art websites (including major publishers artists) offering prints, lithographs, originals, sculptures, and posters. 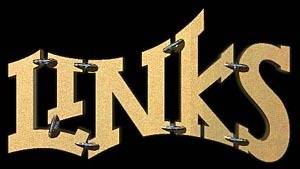 Art Linx - A huge site of links to artists from all over. Artists Online - A leader in connecting the art world, best known for its popular art oriented search engine and online database used by thousands of professional and casual art enthusiasts. Artist Resource - Bay Area art shows, forum, classes, galleries, readings. A top of the line fine arts resource search engine. This is a good one, actually one of the very best I've come across. ArtSeek - Connecting artists with the world. ArtsLog - Artslog is an on-line database site dedicated to the Arts, an art-focused search engine. Art Space 2000 - Bringing artist & buyers together from around the globe. The Ascension Process - This website is devoted to the spiritual ascension process that our planet and we as individuals will be undergoing in this new age of Aquarius. Bay Area Art Source - Bay Area Art Source is one of the oldest websites in the San Francisco Bay Area with listings for the Arts. blueglassrabbit.com - blueglassrabbit.com is an online art gallery that specialises in handmade works of art, craft and interior design accessories. Fast worldwide shipping. European Worlld Gallery - A fine art gallery offering beautiful hand signed lithographs Serigraphs, Heliogravures, Etchings,Original Preliminary Study Pieces and Paintings created by some of the world's greatest artist of our time such as Picasso, Chagall, Miro, and Dali to name a few. The mediums are usually that of watercolor, crayon, pencil, ink, or pastels. Global Art Information - Art jobs, competitions, and listings of value to any artist. Graphic Designer's Paradise - A great set of links for Graphic designrs. Definately check this site out. Internet for the Fine Arts - A comprehensive network of artists, galleries, museums, organizations, and resources relating to the fine arts. If you have an interest in the fine arts, be sure to explore this site. Into Fine Arts - Provides creative oilpaintings and reproduction of old masters with the highest quality. Leningrad School Fine Art - 1930-1990 Russian and Soviet Art from the Leningrad School. A Love for Art - Fine Art Originals! Mountain Community Theater - Mountain Community Theater is a non-profit organization that has provided quality shows for the San Lorenzo Valley for all ages since 1982. National Wood Carvers Association - This is their home page with some great links to other woodcarving relates sites. Navy Pier Sculpture Site - For those intrested in sculpture and what's going on in the world of 3-D art, this site is one you should not only visit, but bookmark. Northwest Wood Carvers Association - Northwest Wood Carvers Association is a non-profit organization that brings people together who love the art of wood carving and that provides club activities, shows, instruction, and a carver's library for the members! Resources - This is a master link to a page of resource links to sculpture and bronzecasting related sites. Santa Cruz Visual Arts Index - Pretty much what it says. SW Creations - Jewelry - Innovative Beaded Jewelry Designs for the Creative at Heart. Top Favorites - An art index ranking art sites by the number of hits. It has some excellent artists included in their database. If you click on this link you'll be casting a vote for this site, which is definately encouraged. You'll also be leaving this site, which isn't, but if you do, bookmark this site first. Thanks. United Artworks Web Site - Featuring artwork by Andrew Werby and associates, a Techniques of Sculpture section, a Techniques of Jewelry section, and a Resources section with online sources of information potentially useful to practicing artists. The Woodcarver's Web - A good resource page for finding a lot of other carvers and see a lot of woodcarving. Woodcarving.org - A good place for woodcarvers to find what they need. The Worldwide Art Gallery - All things art site. Art History, Art Directory, Kids' Art Gallery and education resource, free art quiz (win prizes) plus contemporary international and Australian Art. WWW Art Guide - Art Resource Directory - Submit your URLs. If you are interested in having your own pages or web site developed, please send an email describing your ideas. Rates are flexible and reasonable and depend on what you want.